I have a confession to make. Before my trip to The Black Forest I never really rated Germany as a must see or must visit country or destination. 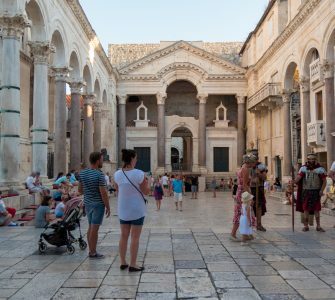 I had visited some of its city’s in the past and appreciated their sights and attractions, but however unique the city’s were, they were just another European city to me. It wasn’t until my recent trip to Germany that I realized just how diverse the country is and how many different cultures and traditions they celebrated and still part take in. It was experiencing these customs and traditions for myself that opened my eyes to a whole new side of Germany I never knew existed, making it now one of the most beautiful European countries I have visited. Situated in the south west of Germany, The Black Forest (also known as Schwarzwald) is just a three hours drive from Frankfurt and just a short hour hours distance from the nearest city of Stuttgart. The Black Forest holiday region is easy to reach by rail from all over Europe however hiring a car is by far the most convenient way to explore the region, allowing you to also take regular stops at places that interest you. Visitors to this stunning area will find rich and diverse landscapes that lie home to numerous fairy tales, rolling hills and thick forests, delicious regional foods and countless hidden treasures and living traditions. However brief your exploration and no matter your interest, you’ll be sure to encounter and enjoy at least one of Baden-Württemburg’s cultural gems. Here is a collection of cultural and historical highlights you can encounter in The Black Forest. Upon a visit to any regional restaurant or cafe, take a quick glance at the menu and you’ll be sure to find the Schwarzwälderkirschtorte (Black Forest Gateau). Consisting of layers of chocolate sponge cake, whipped cream and maraschino cherries with chocolate shavings it is a must try as it is delicious! 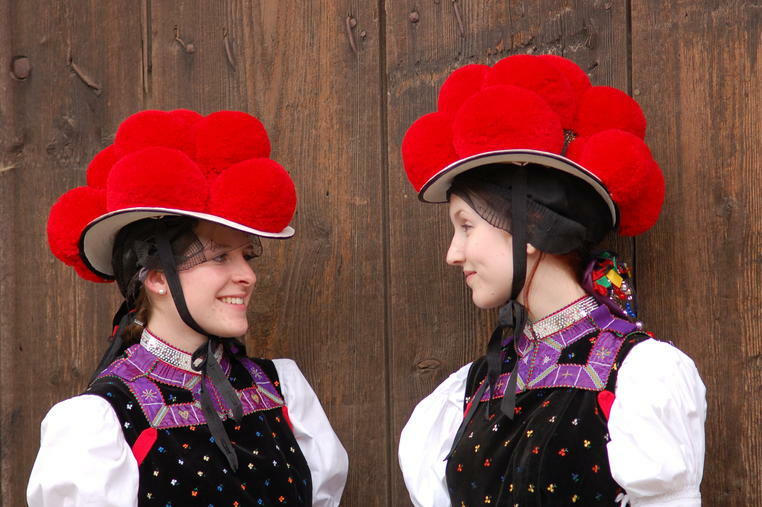 It has been suggested that the look of the cake is a sort of visual pun on the traditional costume of country girls in some parts of the Black Forest — reflecting their black or dark brown skirts, their white blouses, and their traditional hats covered with large cherry-red woolen bobbles. Clocks and time making is big business in The Black Forest. 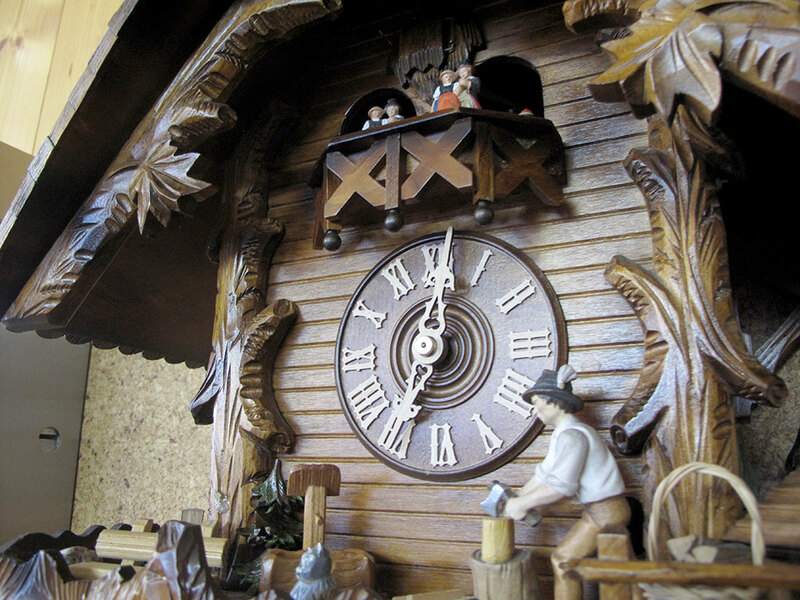 Originating in the town of Triberg in the 18th Century, The Black Forest is home to the traditional Cuckoo Clocks. 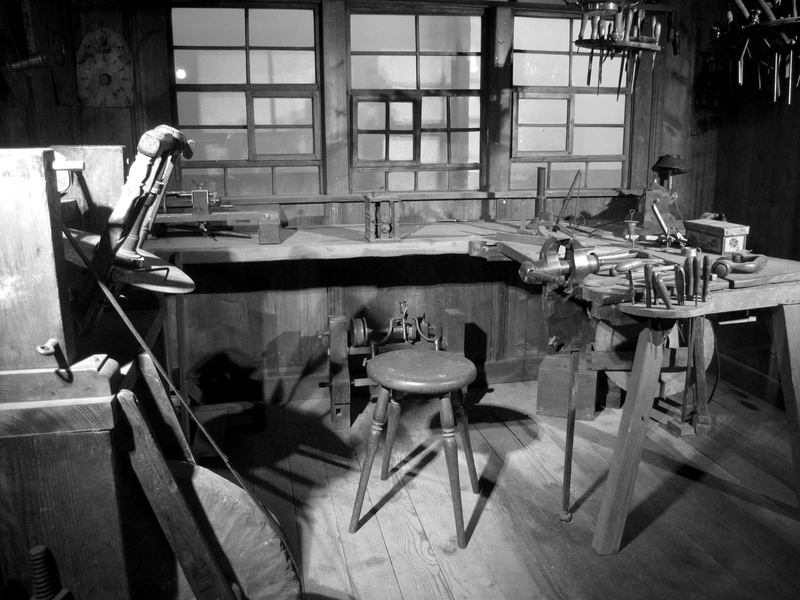 For a wonderful insight into the history and the making of these fabulous pieces of craftsmenship, take a visit to the Rombach and Hass workshop in Schonach where you can see working examples of restoration and behind the scenes of the making of some of their newest and modern designs. Perhaps one of the most hidden gems in The Black Forest is Reinertonishof, one of the oldest farm houses in the region with a history that dates back to 1616. Spend time here in the company of the Duffner family recalling the history of the farm and sampling some of its very own cured meats and cheeses made on the premises! You can also set off from here on one of the many walking trails in the area. 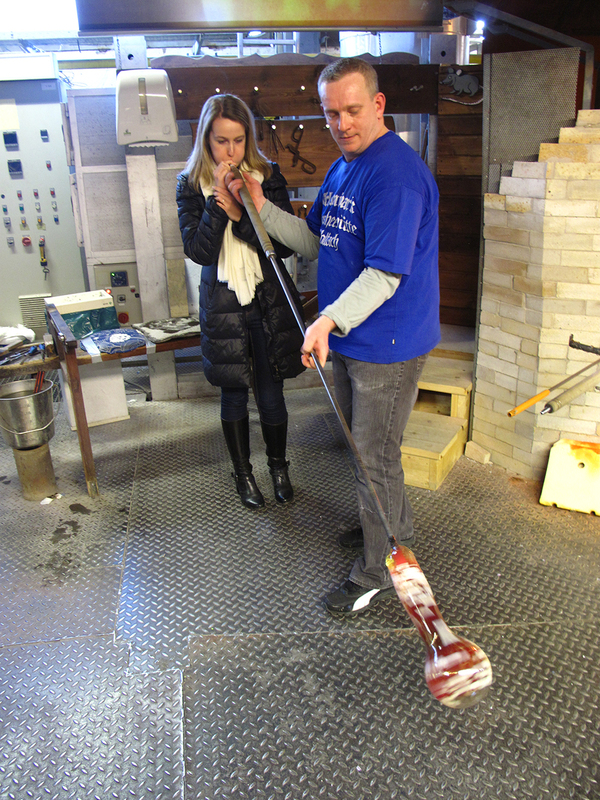 Located in Wolfach, The Dorotheenhutte Glassworks is the only place in the Black Forest where you can get up close and see for yourself how lead crystal is mouth-blown and hand-cut. Fantastic as a afternoon with the family, you can even pay to blow your own vase on site while learning the history of the workshop and visit the year round Christmas village, packed full of glass baubles and Christmas decorations. 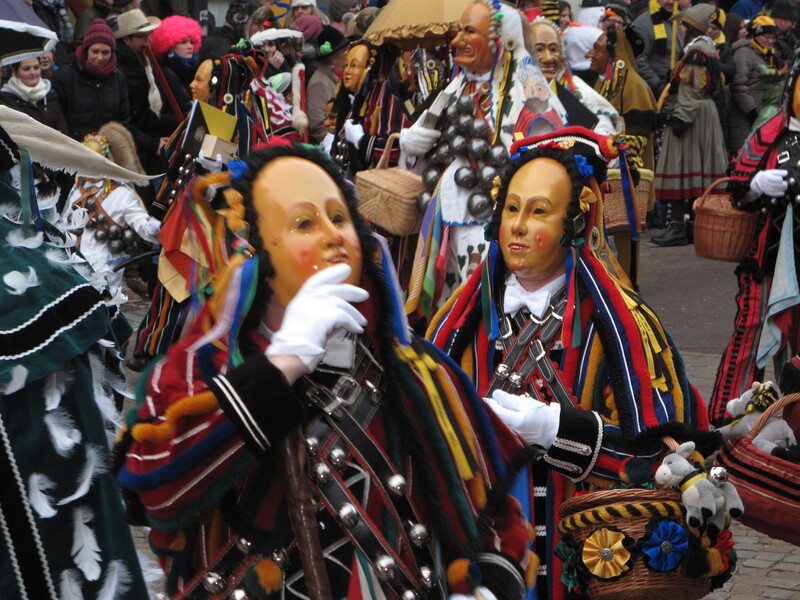 Visit The Black Forest in January and February and you might just stumble across one of Germany’s most beautiful and colorful carnivals of Fasnacht (Fasnet). 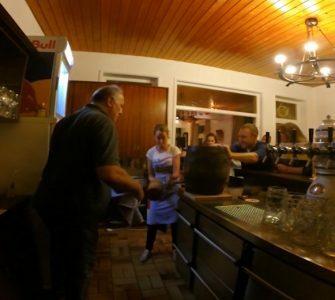 Visit the town of Shramberg and experience Germany culture and tradition at its finest. 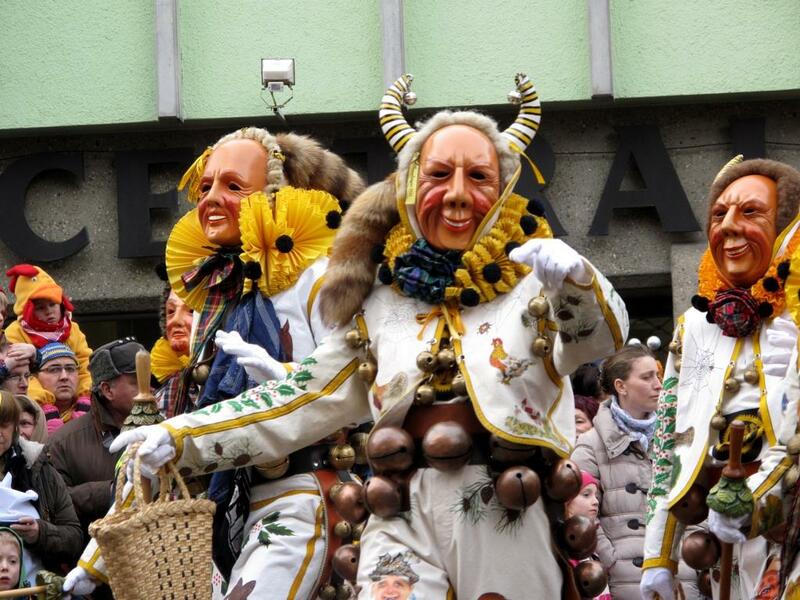 In the week leading up to Ash Wednesday, the historical town of Rottweil celebrates a century old carnival tradition. An event not to be missed is the Narresprung Parade. Starting at exactly 8am on the Monday morning, horse riders with the towns banner and the town band parade down the high street followed by hundreds of Narrens and carnival characters. Make sure you wrap up warm because this parade is over 2 half hours long! If you’re travelling with children aim to get a spot at the front as the Narren thrown sweets and candies as they pass in the parade. For dates of next years parade click here. If you visit Rottweil any other time of year, this charming medieval town offers a host of cultural and historical gems including Roman ruins, Gothic churches and museums to explore. While the Black Forest is renowned for their Cuckoo Clocks, the town of Shramberg has a deep history of another kind of clock. The wrist watch. Explore the history of the brand Junghans which dates back to 1861 at the Automuseum und Uhrenmuseum. Explore the clock museum and you’ll get an ideal of the development of Junghans watches and an insight into the workshops of former times. You may also be interested in the museum of postwar vehicles and the lifestyles museum of the 70’s which is also located in the same building. 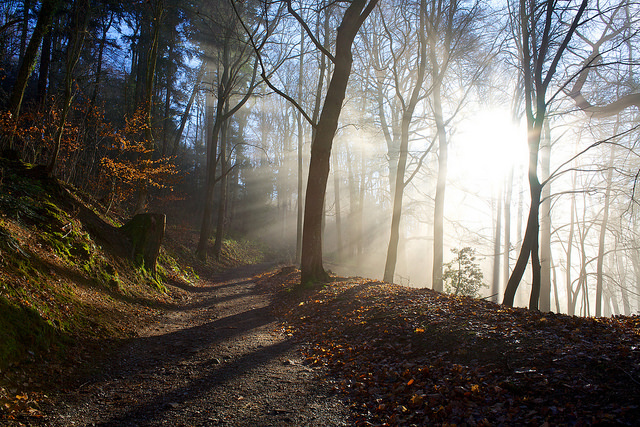 It is said that hiking was invented in the Black Forest. With more than 15 hiking trails in the region and over 500 qualified hiking guides it is no wonder why The Black Forest is one of Germany’s premiere hiking locations. Hiking, walking and trekking have been part of the Black Forest’s history for more than 100 years and visitors from all over the world come to explore its forests, farms and dream like trails on day hikes, weekend trips and long distance trails. 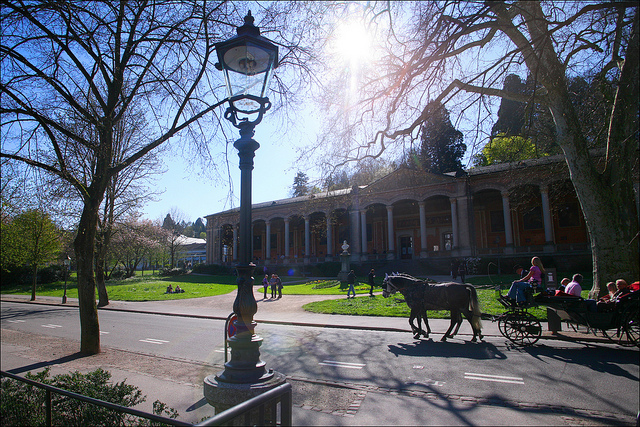 Previously known as the summer capital of Europe and the gathering place of the rich and the beautiful, Baden Baden is famous worldwide as one of Germany’s best spa towns. Boasting grand colonnaded building sand luxurious villas, Baden Baden is the ideal location for those seeking stylish treatments, pure relaxation with a dose of culture and class thrown in. Baden-Baden’s hot springs well up from a depth of 2,000 metres, supplying the town’s twelve thermal spas with waters reaching a temperature of 68 degree Celsius, making it an ideal wellness vacation for those cardiovascular problems, rheumatism, joint complaints, metabolic disorders and respiratory ailments. But even if you’re fighting fit, Baden-Baden’s waters will work wonders for your health and wellbeing. Aside from its spa’s, the town also has a healthy dose of chic boutique shops, cafes and award winning restaurants to enjoy too. Fir trees covered in snow, glistening white hills and numerous cross country ski trails and ski slopes makes for the perfect winter wonderland. 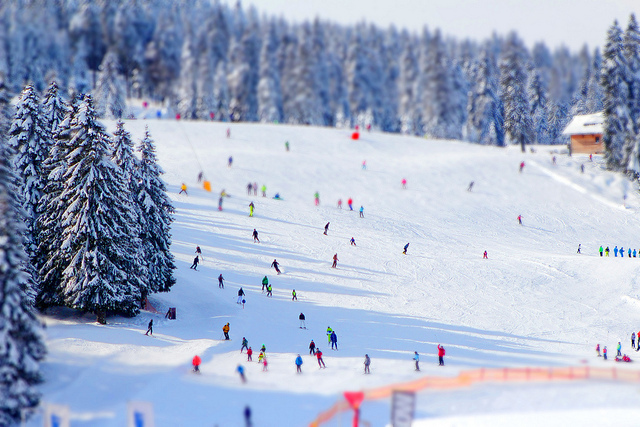 Bursting with a whole range of winter activities and sports for the whole family to enjoy, The Black Forest is one of Germany’s biggest and most popular skiing areas. OMG, I just did a post on the Black Forest yesterday. I will say your photos are far more fabulous and there are many things you did I didn’t get to see during my big one day cruise ship visit. Loved the festival pictures. 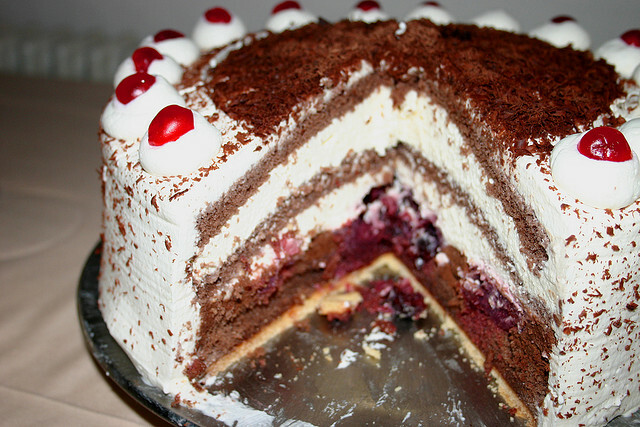 Question for you…Did you like the black forest cake? The carnival festival was so unique that it is definitely something you should travel back to the Black Forest for! 🙂 And the Black Forest Cake was yummy but I think a little too much cream for me! 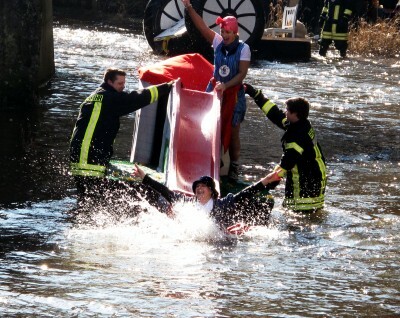 The old carnival tradition looks fun to watch and witness. Oh the black forest gateau looks so yummy. Gorgeous photos. The skiing scene looks amazing. 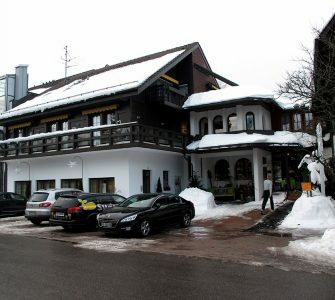 Yes there was a lot of snow there so it is a great destination for off the beaten track cross country skiing!